In difficult economic times we too often have to settle for job opportunities that are not ideal. This book is written primarily to help those seeking employment job change although if you are contemplating setting up your own business and becoming self-employed the fundamentals are the same although some of the detail may need to be adapted. 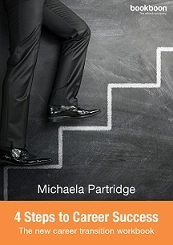 The author, Michaela Partridge, has spent more than 20 years in the Human Resources profession many of them in the corporate world responsible for all areas of recruitment and selection, redundancy programmes and career transition.